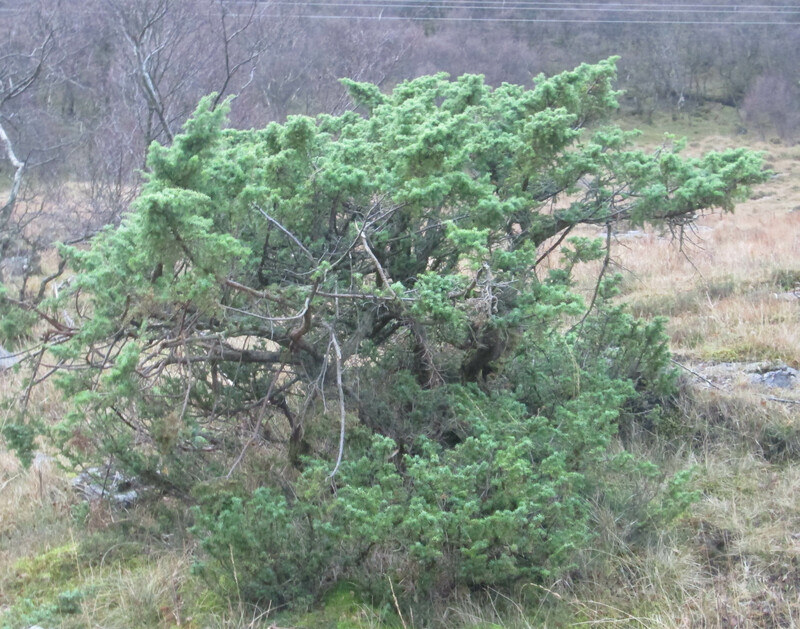 On the way back from HBRG‘s autumn meeting today, I stopped to look at Gwyn’s upright juniper at Strollamus which is easy to spot from the road now that the leaves have fallen from most nearby trees. It may not be a proper tree, but it is certainly not prostrate and the leaves are patent and acuminate – characteristics of Juniperus communis ssp. communis. I will put the nuts and seeds out. The following map is what the picture looks like if one looks at records from 2000-2013. Clearly there are quite a few more tetrads (actually 66) that have not been visited since before 2000. Sarah Longrigg produced an excellent exhibit on Utricularia on the Isle of Eigg. All plants found, as avid readers of this blog will know, were U. minor (Lesser Bladderwort) or U. stygia (Nordic Bladderwort). Having talked to Ian Evans at the meeting and reviewed the historical changes in species definitions, I am less sure about U. ochroleuca being a likely additional taxon to find in VC 104. I talked with Ian Denholm about our apparent Dactylorhiza tranusteineroides sensu stricto on Skye. 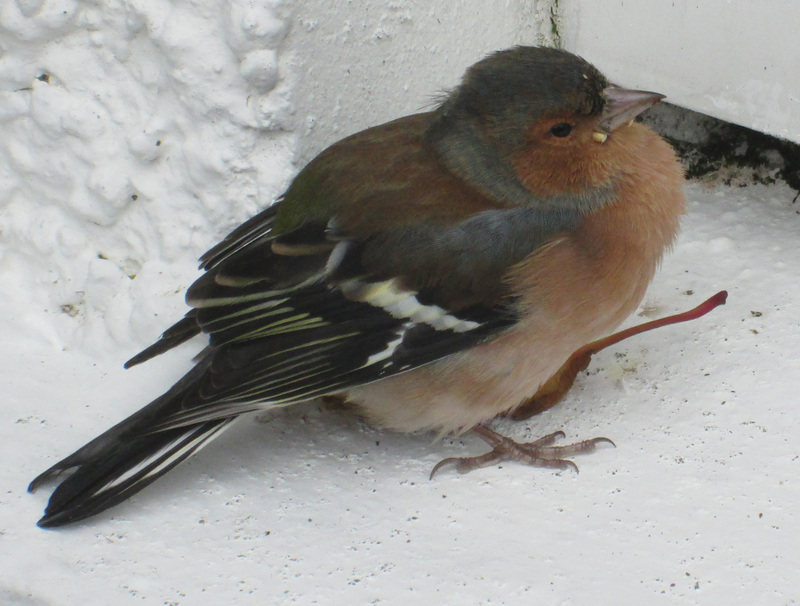 His current thoughts are: “it looks to be at the interface of the two subspecies, which are rather arbitrary subdivisions of a morphological continuum that starts in Anglesey/central Ireland and reaches the f-d [francis-drucei] extreme in Harris and North Uist. I think the geographical trend still holds up, but I dearly wish we had a full set of measurements from your colony, which probably would challenge our thinking but wouldn’t be a terminal threat to our current interpretation.” We shall have to have a closer look next year. Leslie Tucker presented some interesting results on willows and hybrids based on flow colorimetry to give C-values referring to the weight in picograms of DNA contained within a haploid nucleus (e.g. a gamete) or one half the amount in a diploid cell. I would like to explore further whether this can help with the putative Salix x grahamii (S. aurita x herbacea x repens) on Skye. Obviously it being a triple hybrid, if that is what it is, makes it difficult to know what its C-value means – in the case of a simple hybrid one would expect it to be intermediate to the values for the two parents. Although the original (and perhaps only) finding for this plant was in Sutherland in 1827 0r 1833, it was propagated and remains at RBGE today. So there is an opportunity for comparison – perhaps including this technique to establish whether the Skye plant has the same C-value. Whether either plant is actually the proposed triple hybrid is also up for grabs. Leslie made the eminently sensible suggestion that I attempt to propagate the Skye plant – if only to save myself from an annual trip across the moor in order to fail to find catkins. Some of us tried out Chris Metherell’s new key fro Euphrasia (Eyebrights). Whilst there is still a way to go, I was much impressed with how the work is coming along and believe that in the fullness of time I shall be able to have a proper go at this difficult group. The new Euphrasia handbook should be available in a year or two. I have not been out in the field myself recently what with being away, the weather and a persistent virus. 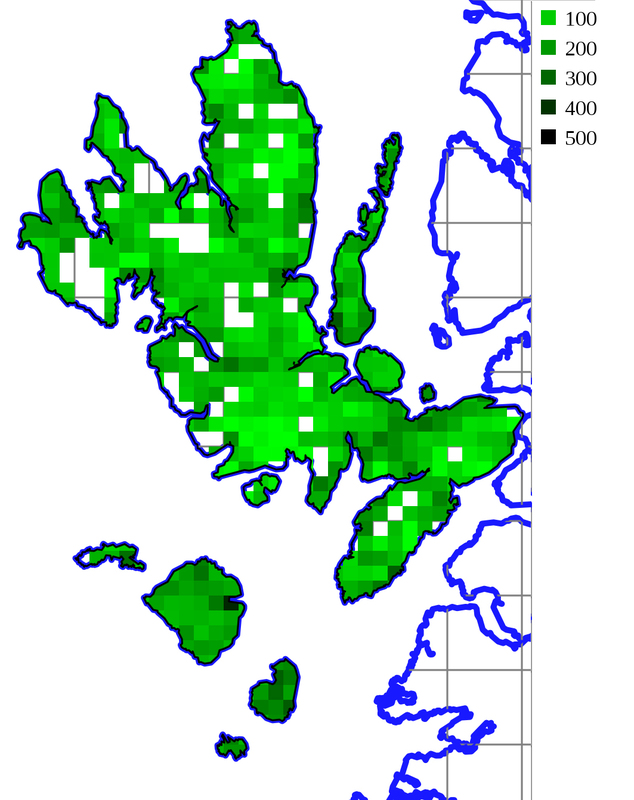 However, Adele has sent me her 2013 records which have filled in some gaps and with her addition of Gymnocarpium dryopteris (Oak Fern) to the Sabhal Mòr tetrad she has inspired me to add that species to the distribution maps on my website – here. Also, I have received from Chris Metherell a first list of eleven herbarium species from VC104 that he has found whilst cataloguing specimens recently transferred to the Hancock Museum in Newcastle. They date from the 1930s and, as seems to be the norm for such things, raise various questions. Is the Raasay specimen of Stellaria pallida (Lesser Chickweed) recorded then as Stellaria apetala really that species? There is no other record from the vice-county. Is the Raasay specimen of Lycopodium annotinum (Interrupted Clubmoss) actually from Raasay or in fact from neighbouring Scalpay where it is present in good numbers? 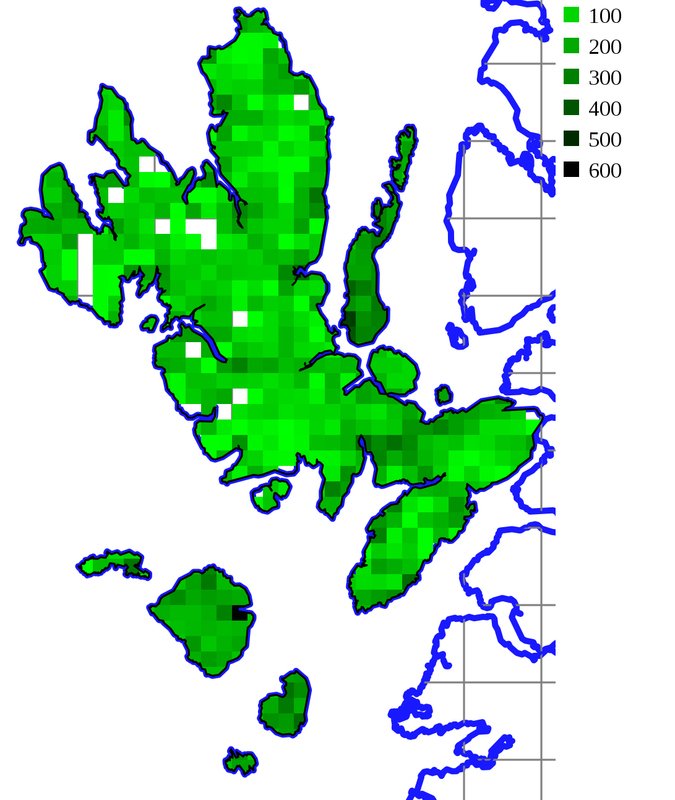 There is no record for Raasay. Is the Raasay specimen of Circaea alpina (Alpine Enchanter’s-nightshade) really that or the locally common Circaea x intermedia (C. alpina x lutetiana)? There is no reliable record of C. alpina from the vice-county. The good news is that two of these three questions should be resolved by inspection of the specimens. Postings to this blog are likely to be infrequent until the Spring.